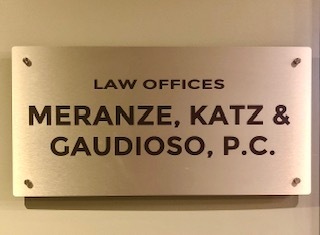 From its inception in 1953, the Firm’s Labor and Employment practice has been limited to the representation of Labor Unions and their members as well as individual workers with employment related issues. The scope of our practice includes all aspects of labor relations, collective bargaining, grievance and arbitration matters and Union compliance with the myriad of Federal and State regulatory schemes within with Unions must operate. We routinely appear before Federal and State courts, in proceedings before National Labor Relation Board and State Labor Relations Boards, in arbitration proceedings and we can assist in any government inquiries and investigations. Our experience spans production, manufacturing, retail sales, warehousing, shipping, construction, transportation, hospitality and food service and numerous other service industries on behalf of both private and public sector Unions in Pennsylvania, New Jersey and Delaware. In addition to our practice of representing Unions in their efforts to represent and assist their members , we also assist Union members and other workers in their employment related concerns that arise outside of a collective bargaining agreement. Wrongful discharge, employment discrimination, and unemployment compensation are areas in which individual workers often seek our assistance. One of the qualities that makes our firm and our Labor and Employment Practice unique is that all of our attorneys bring with them an extensive history of working in the Unionized work force before becoming attorneys. Our attorneys have worked in the construction industry, warehouse and food distribution industries, food and beverage hospitality industry, retail sales industry and manufacturing industry as Union members under a collective bargaining agreement. This experience gives us a unique insight into the needs of Unions and their members and a dedication to what we do borne out of our own life experiences.